Who said the Viennese invented the waltz? After Lully’s big splash onto the Gallic musical scene, French opera became one of Europe’s most important operatic traditions. Giants such as Rameau, Berlioz, Massenet and Saint-Saëns, as well as foreign-born composers like Gluck, Cherubini, Rossini, Meyerbeer and Offenbach – and yes, even Verdi and Wagner – played a part in establishing French operatic tradition as the high point of the genre in the nineteenth century. Dance was central to the French musical stage, and, much as his predecessor Lully had done, Gounod masterfully integrated this art form into grand opera. Lully’s Cadmus et Hermione (1673) is considered the first French opera in the full sense (Cambert’s Pomone pre-dated this work, but the music has only partly survived). With Cadmus Lully created a new form, different from the ballet de cour and opéra ballet: tragédie en musique. Modeled on French classical tragedies of the great playwrights Corneille and Racine, this five-act form was especially geared to the French taste Lully knew so well. He infused his tragédies with arias and recitatives, but also satisfied the public’s predilection for extravagance by including huge choruses, spectacular stage effects and machinery, and, to satisfy their love of dance, a divertissement at the end of each act. He also was astute enough to borrow the “allegorical prologue” from the Italians to sing the praises of his patron, King Louis XIV. Gounod took inspiration from this musical tragedy form for his operas, and his Roméo et Juliette is a prime example of the literary-themed operas which he was so fond of composing. What better operatic muse than the Bard (the current Hollywood film Anonymous notwithstanding), whose language is so musical and rhythmically stimulating? Gounod was one of many opera composers to look to the astounding Will [Shakespeare] for creative stimulation. Shakespeare was one of Verdi’s three favorite writers (the other two being Victor Hugo and Schiller). Thomas and Berlioz, Rossini and Bellini, Purcell, Britten and Thomas Ades (his Tempest is due to debut at the Met in the near future), all populate a very long list of the opera composer as Shakespearean devotee. Gounod, of course, was not the only composer to pen a version of the timeless romantic tragedy of star-crossed lovers. Bookending his 1867 version were Czech composer Benda’s 1776 singspiel Romeo und Julie, Vaccai’s 1825 Giulietta e Romeo, Bellini’s 1830 I Capuleti e I Montecchi, and of course Bernstein’s West Side Story (which I consider to be an opera – but that is a whole different discussion). I do admit to having a personal attachment to Gounod’s version, however, as it was the final opera I performed at the Met. The tunes are glorious, and for me, even goosebump-worthy. But I literally cannot listen to the dance melodies, or discuss them in a lecture, without swaying to the rhythms. (Swaying is about the only dance movement I’m capable of anymore, alas.) I daresay the audience at the Théâtre-Lyrique on that heady April evening in 1867 was even less capable of sitting still. In my mind Je veux vivre translates into Je veux danser – or valser, for that matter. The success of Faust in 1859 had motivated theater director Léon Carvalho to commission a subsequent opera from Gounod. The road to Roméo was not a smooth one, however. The lead tenor role, with its extreme high tessitura (as exemplified in the fiendishly difficult Salut, Demeure from Faust), proved difficult to cast; and according to rumor Gounod felt compelled to write the last act twice. But overall the Roméo premiere was hailed as a triumph for Gounod – although the presence of some dignitaries from the Exposition Universelle being held in Paris at the time certainly didn’t hurt its success. Ultimately the opera enjoyed successful premieres at the Opéra-Comique (1873), where it was performed three hundred ninety-one times in the next fourteen years; and at the Paris Opéra in 1888, with the current rock stars Adelina Patti and Jean de Reszke in the leading roles. The Brits were not as unstinting in their praise when the opera opened in London in July of that year. Critic Sutherland Edwards called it “the powerful drama of Romeo and Juliet reduced to the proportions of an eclogue for Juliet and Romeo” (though he did admit that Adelina Patti’s “sparkling waltz air for Juliet” aptly demonstrated her “tragic genius”). British Shakespearean snobbism? Peut-être. More likely the lack of Brit enthusiasm for the French passion for ballet. And such ballet! The most devoted balletomanes – and hopefully most Shakespeare purists – will find the opening ball scene, with its celebratory dancing and singing, irresistible. And Juliet’s signature Je Veux Vivre is, unmistakably, a waltz. Was the waltz a Viennese invention? Notwithstanding its Bavarian origins in the sixteenth century (first observed by the French philosopher Montaigne), and its popularity in the Viennese court in the late seventeenth century, Thomas Wilson titled his1816 English language manual on the “Regency Waltz” Correct Method of German and French Waltzing. Gounod’s delicious waltz music, both in Roméo et Juliette and in Faust, stands as continuing proof that this dance form is every bit as French as it is German. 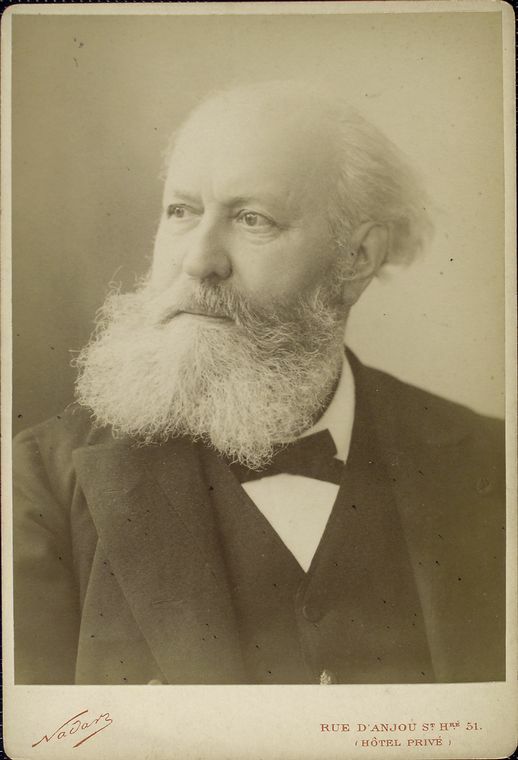 The operatic waltz did not stop with Gounod, nor was it exclusive to French or German opera.